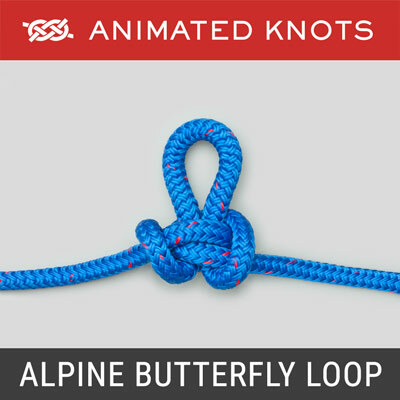 Pass the loop of the strap around the harness, strap, or rope. Thread the other end of the strap through the loop. Make sure the strap lies neatly and then pull it tight. Structure: The Girth Hitch (Strap Hitch, Bale Sling Hitch, Ring Hitch) (ABOK # 1694, p 294). Because it resembles the Cow Hitch it is, regrettably, sometimes known by names that more properly belong to the Cow Hitch, e.g., Lark's Head (and Lark's Foot), and Lanyard Hitch. Familiarity: The Girth Hitch should seem familiar because tying it employs the procedure we use to link two elastic bands. This familiarity provides a useful lesson. 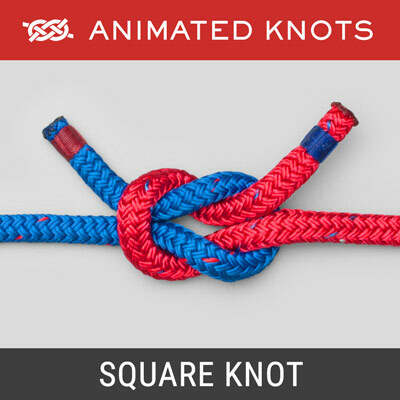 The two bands can be dressed to resemble either a Square (Reef) Knot or to take the form shown in the animation. 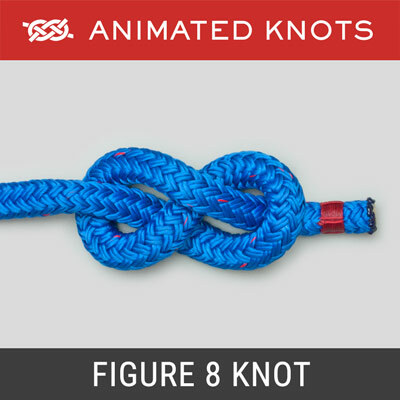 To preserve strength when linking two slings, the knot must be arranged to resemble a Square Knot when it is then known as a "Strop Knot". 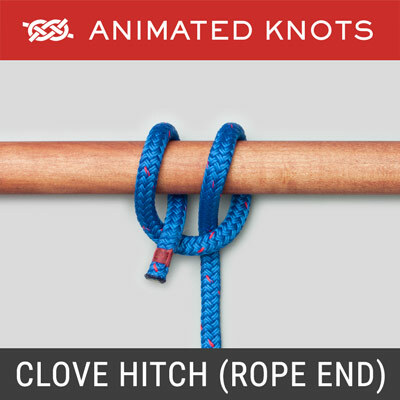 Strength: The Girth Hitch weakens a sling, particularly if two straps are directly knotted to each other. 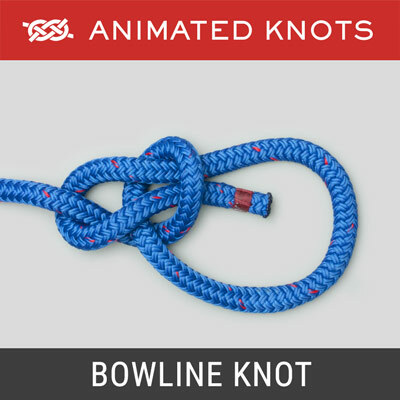 This loss of strength is worse, e.g., close to 50%, when tied in the form used in the animation where one strap passes straight through and the other forms a collar around itself. To join two slings when strength is a concern, use a carabiner – not a Girth Hitch. Uses: The Girth Hitch attaches a sling or a webbing strap loop to your harness or to another sling, strap, or rope. 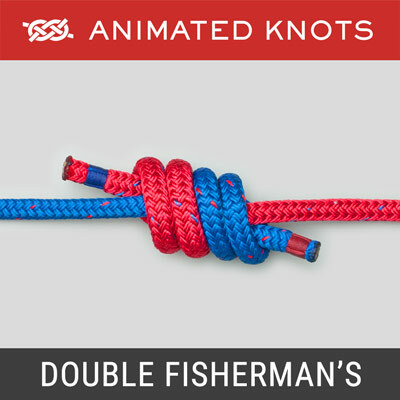 It is also often employed when slings are used to connect anchor points to a static rope in a top-rope set-up.